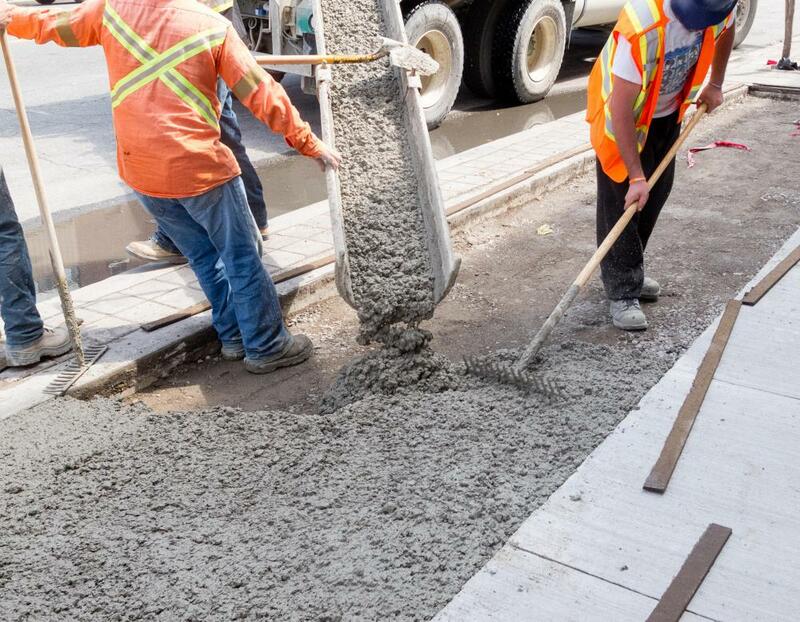 Concrete cures best in cool, humid weather. In general, single poured concrete sidewalk takes much less time to cure than a dam. Steam curing is a process for hardening concrete, cement, and mortar that involves exposure to warm steam. The term “curing time” is used to refer to how long it takes something to fully cure, undergoing a series of chemical reactions which allow it to set, harden, and develop traits which will allow it to persist for weeks, months, or years. A number of substances undergo curing times, including paints, epoxies, glues, resins, concrete, and so forth. Several factors can play a role in the curing time of a product, and these factors must be considered when applying it. Concrete is often used in examples of curing time. 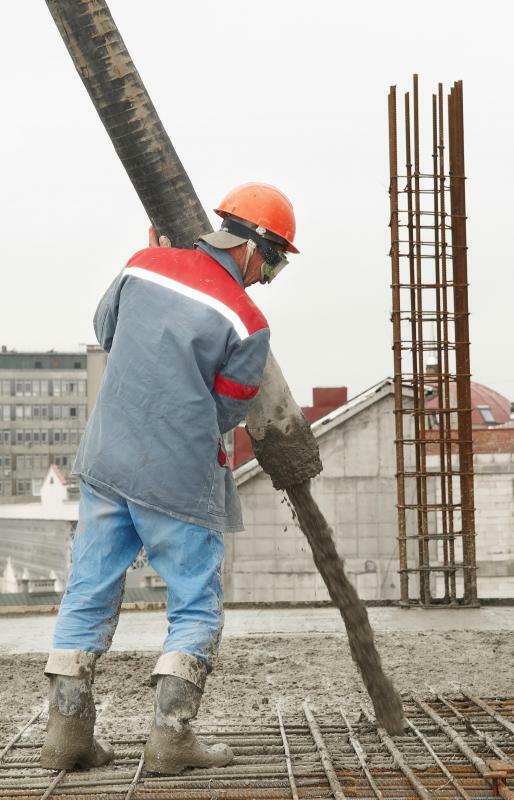 When concrete is first poured, it is in a liquid to sludgy state. In the early stages, people could draw lines or make marks in the soft concrete and it would settle back in to fill them. Over time, the concrete cures, growing harder and harder until it reaches the final point, at which point it is a tough matrix of crystallized materials which are strong enough to allow people to walk, drive, and support buildings on the finished concrete. If concrete curing goes wrong, however, the finished material will lack strength. It can be brittle and prone to fractures, and it may develop problems over time. Some issues which can affect concrete curing include heat and ambient moisture. 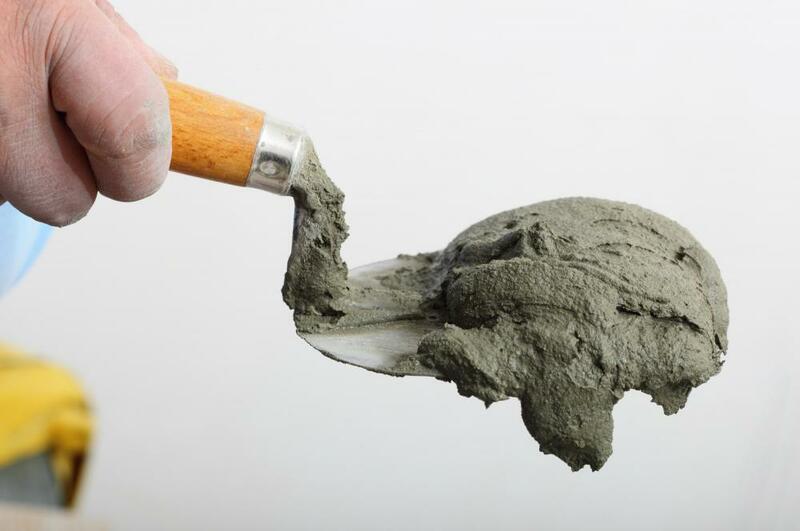 Concrete actually cures best in muggy cool to neutral weather; if the weather is dry and hot, the hydration process which happens inside the concrete does not proceed as it normally does, weakening the concrete during the curing time. Likewise, heat and moisture can have an effect on curing times of other materials. As people have noticed after painting, for example, when the weather is muggy, the paint takes a long time to cure, and sometimes it fails to set up altogether. Pressure can also be an issue, as can exposure to ultraviolet radiation. All of these factors can change the chemical reaction going on inside the material as it cures, changing the way it cures and having an impact on how it looks at the end of the curing time. The volume of material is also an issue. A single poured concrete sidewalk takes much less time to cure, for example, than a dam. This must be accounted for when estimating curing time, as it is important to avoid disturbing the site while it is curing. For example, if stress is put on an epoxy joint before it cures, it can create hairlines fractures which weaken the joint, allowing it to fail in the future. What is a Curing Agent? What is a Key Joint? What is a Curing Light? What is a Concrete Test? My daddy always told us to wait and paint when the weather was nice. He said definitely not to paint on a rainy day because the paint wouldn’t dry. Well, as it goes with most parent/children relationships, I just had to test that theory. And do you know what – he was one hundred percent correct. The paint did eventually dry, but it really didn’t look very good. It was kind of runny looking, although it hadn’t actually run at all. And, wouldn’t you know that it wasn’t long before I couldn’t stand the way it looked, and had to completely redo the whole thing. Twice as much time to get the result I would’ve gotten if I’d just waited to paint on a day when it wasn’t raining out. As usual, Daddy was right on the money and now I only do these kinds of home projects when it's sunny. @indemnifyme - Sounds like those kids had fun. However, I think they take playing in half-cured cement a lot more seriously now. I read a story in the paper a few months ago about some young teenagers that were charged with vandalism for doing this same thing! I thought it was a little bit excessive, because I'm sure they didn't mean any harm. However, I doubt any more kids in my area will be drawing in wet cement! We were idiots – I’ll admit it wholeheartedly now. We were complete and total idiots to think that we could pour an entire cement driveway ourselves. I’m telling you, don’t go there! It has been an absolute nightmare! We had poured a small amount of cement ourselves for a little clean spot to get out of the car and go up the huge set of steps to our home. This would save my shoes from grass clippings and stuff. Well, that went quite well, so we thought that maybe we could do a whole driveway. Not so smart! It rained, which was terrible. Plus we didn't let it sit long enough before we started walking across it. We also didn’t have everything we needed to completely level the thing, and in short, we didn’t know what the heck we were doing. As a result, our driveway cracks if you look at it the wrong way and is a horrible eyesore. Just hire the professionals; they know what they’re doing. Curing times can also refer to the curing of meat. My great grandmother had what was called a smokehouse on her property, and she raised a few hogs every year to slaughter and then cure. I wouldn’t have the slightest as to how to actually cure an animal of any sort, but these old timers were regular experts at it. I remember that everyone got really excited when it was time to slaughter and cure the hogs. There was a huge party and the entire family would come and bring a potluck. The ladies would take the fat and render it into lard and lye soap in these gigantic pots that we think of as witch’s caldrons today. The skin they would fry up into ‘cracklings’. I guess you could liken that to pork rinds, but they are really delicious when first cooked. Then the men would hang the hogs for curing, and start the fire that would burn for days. When I was younger we moved into a new neighborhood that was still in the process of being built. I remember when the poured the concrete for the sidewalk of one of the streets it took a little while to cure all the way. One night, some of the neighborhood kids snuck over and made designs in the concrete. Since it wasn't quite done curing, but it had set, the designs stayed there for awhile until the neighborhood finally had that section replaced!